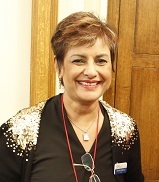 Nadra Ahmed OBE has been Chairman of NCA since 2001. 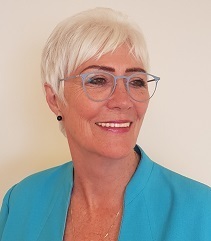 She has been involved in the field of social care for over 35 years and until 2005 was the Registered Manager of two private care homes for older people, having developed and run services since 1981. Nadra has served on numerous government task forces and she was the Vice Chairman of Skills for Care for 11 years having been appointed at its inception. Nadra is a trustee of Parkinson's UK among other charities. She is the Deputy Lord Lieutenant of Kent and a Kent Ambassador. In 2006 she was awarded the OBE for her services to Social Care. She is a regular contributor to journals and a speaks national and international conferences throughout the world. She is also regularly called upon by the major media networks to represent the views of social care providers. Nadra is driven by a desire to ensure the delivery of quality services to the most vulnerable members of our society. She works across a number of government departments which have an impact on the social care world giving evidence and expert advice to parlamentarians. The elected Board of Directors is made up of volunteers who are or have been care providers. The directors are based throughout the country and are passionate and committed to ensuring the highest quality of services through respect, recognition and support for the providers of these services. Members of the Board maintain close links with their local Associations, which means our national agenda with Government and the various Ministers and Departments are built upon at local grassroots levels. 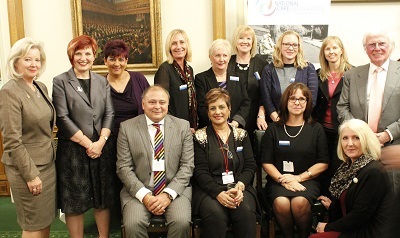 National Care Association’s lobbying and policy work is supported by Mrs Sheila Scott OBE a former homeowner and recently retired Chief Executive of the Association. Mandy Thorn MBE is Chair of Marches Care Ltd, an SME provider of nursing and dementia services. She is Vice Chair of the National Care Association. Mandy is also Chair of a local cancer charity and a trustee of Skills for Care. She holds vocational care qualifications and has managed both domiciliary and residential services during her 26 year career in social care. Raj lives in Lancashire and qualified as a registered Nurse in 1983, a year later he began running two residential homes in Lancashire, caring for the elderly and those with learning disabilities. Today he is Managing Director of the award winning Altham Care, with dementia being at the forefront of their service. Graduated in Law in 1997. Served as Chairman of Magistrates Bench for almost 15 years. Raj’s experience also covers the management of a portfolio of residential, office and commercial properties. Throughout his career Raj has been involved in the representation of care providers, including being a Director of the Lancashire Care Association from soon after its inception in the early 1990’s. Raj joined the Board of National Care Association in 2007 and holds the office of Vice Chairman. Raj actively lobbies for the best possible standards of care for those using services, whilst recognising the pressures of providers in today’s tough market place, always with an eye on preserving and preparing services for the future. Joyce is the Managing Director of Worcester Garden Ltd which operates Greenacres Care Home, a care home specialising in dementia in Crowle, near Scunthorpe and Worcester Garden (No.1) Ltd. which is the provider for Worcester Lodge, a residential care home in Clevedon in North Somerset which also specialises in dementia. Joyce has been a provider and operated care homes since 2003 and has previously operated a home in Grimsby. Joyce is committed to helping the sector achieve exceptional care and believes that getting to know the residents is key to giving the best level of care, happiness and fulfillment. This can be achieved by having a skilled, compassionate team offering exactly the right level of care and support in a small homely environment. Joyce is actively involved in the local area associations as well as National Care Association. Joyce has been a member of the board of the National Care Association since 2008 and attends many national meetings on their behalf. Sukhvinder Singh Gidar qualified as a pharmacist in 1990, going on to operate 2 pharmacies in the South East. Sukhi then went on to study a post graduate degree in Kings College. From this degree Sukhi realised that the care business with its demographics was the business to be in and decided to change his career from Pharmacies into the care sector. Gold Care Homes was established in 1999 and has since grown to operate 21 care homes, predominantly in the northern Home Counties. Privately owned by the Gidar family, Gold Care Homes has an established reputation of delivering high quality care and a wide range of facilities to their residents. Successes include Gold Care Homes winning Family Business of the Year at the Red Ribbon Awards 2016. Profiling among top 150 companies - Thames Valley 250 - The Business Magazine 2015 and being recognised as UK’s third fastest growing health care company – Health Investor Growth Company 2014. 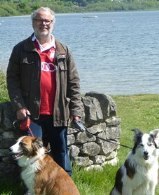 Tony Billingham has been a member with the Association since its formation in the early 80’s. He has been involved with social care for 50 years and was former Area Director of Social Services in the Stratford on Avon division of Warwickshire County Council. 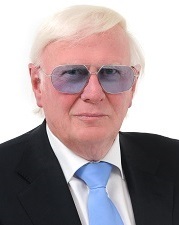 A graduate of Keele University, he opened his first Care Home in the West Midlands in 1983 which grew to 4 homes within the Carlton Care Group and is Managing Director. He opened and established one of the first Care Villages in the Country in 1986, he was also the founding Director of The West Midlands Care Association. He also served as Magistrate for 20 years as Chairman. Carol Smit is the Managing Director of Trust Care Management Ltd and Focus Care Agency Ltd both companies are owned by her and her business partner. The combined companies provide services nationally, currently in East Sussex, Essex, Cambridgeshire, Suffolk, Norfolk, London and the West Midlands to those living with Dementia, Learning Disabilities, Autistic Spectrum Disorders, Mental Ill Health and those requiring care and support during their advancing years. Carol studied and completed her nurse training in South Africa and relocated to the United Kingdom in 2001. She has 48 years’ experience in the public and private sector of nursing, this includes managing, leading and teaching at various levels of her profession and received numerous awards academically. She is a credible leader that has completed her studies as a general nurse, mental health nurse, community health nurse and midwife. She received her Industrial Relations Diploma from Damelin Management College in SA and on arrival in the UK completed the Registered Managers Award (NVQ Level 4) (Adult). She received a BA (Cur) in nursing education and a BA (Cur) nursing administration at the University of South Africa and then commenced her Master of Arts in Nursing Sciences. Carol has current NMC validation as a Registered Nurse – Adult and Mental Health in the UK. She served on her local Safeguarding Board and participated in the development of the SAB Practice & Procedures for Peterborough and Cambridgeshire. She is a transformational leader, passionate about empowering her teams and neophytes entering the profession to provide comprehensive, holistic integrated care and support to those people within society that require these services. Carol lives in Peterborough, Cambridgeshire, United Kingdom. 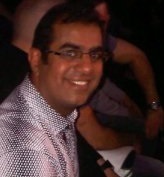 Amrit comes from a family background of Care Homes and grew up in the Industry. During any work placement and school holidays she worked as a Carer and has had first hand experience of dealing with Care and what it means to be living in a Care Home. She is currently a Provider of Elderly Care and also works as a Solicitor specialising in Health and Social Care Law and Regulation. She brings this wealth of knowledge and expertise to her role as Compliance Director at the NCA. Michael has worked in the care industry since 1983. Now retired, Michael most recently ran Holme Manor Residential Home which he ran as a family business employing a large staff and growing the home into a successful business. Testament to his dedication Holme Manor was recognised by the award of five stars under the RDB star rating scheme and ‘excellent’ by CSCI. Michael has also successfully launched and run HomeCare Services, a domiciliary care service. Previously Michael has held the position of Chairman of North East Lancashire Community and Care Homes Association as well as a Director and Vice Chairman of Lancashire Care Association. Michael is still an active member of the National Care Association in the role of Director bringing a wealth of experience coving both independently run care homes and domiciliary care services.